Is your baby ready for baptism? Should parents wait till their children are older before they baptise them, wonders Sipho? When I was a few months old I was baptised in a Christian Church. My religion was chosen for me at a time when I was too young to make that choice for myself. To most Christians water baptism is an outward symbol that the one being baptised has made dedication through Jesus Christ to do the will of God. Once an infant is baptised the child identified with the Christian denomination in which he or she was baptised. Infant baptism, also known as christening or paedobaptism, is still a popular culture among many Christian denominations. Some celebrities also follow this culture like pop star Celine Dion whose 4 month old twins were baptised in early March this year. Growing up I was told that I was a member of a religion which I’ll call X. Because that religion had been chosen for me I felt it was a label that I had to wear the same as my name. I felt a kinship with the other kids who at school announced that they were from the same religion, our mothers wore the same church uniforms and sang the same songs. Even though I was a young ‘member’ of that religion I was out of touch with the fundamental doctrines. Being told that I was baptised in that religion did not make sense to me as I was not actually there when that baptism occurred. I’m not against parents training their children to be religious. I think religious parents have every right to raise their children in which ever way they want. I have a problem with parents making a dedication, through baptism, for an infant child. In my view such a major step as baptism should be made at a time when a child is aware of issues of faith not at a time when the child’s mind is blank. It’s only fair that a child be given a choice as to whether he or she wants to be a member of that particular religion. Ironically Jesus was baptised at the mature age of 30. Because I was baptised young in adulthood I made a conscious decision to choose a Christian denomination of my choice and so did my siblings. In my view every child should be baptised at a time when they are able to make that choice for themselves. Choosing a religion is a very personal matter which should only be made to mature minds. 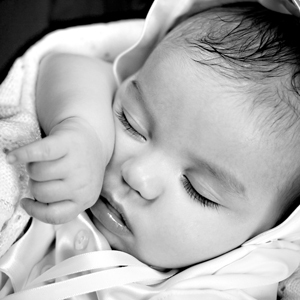 Do you think that babies should be baptised or should you wait till they're older?